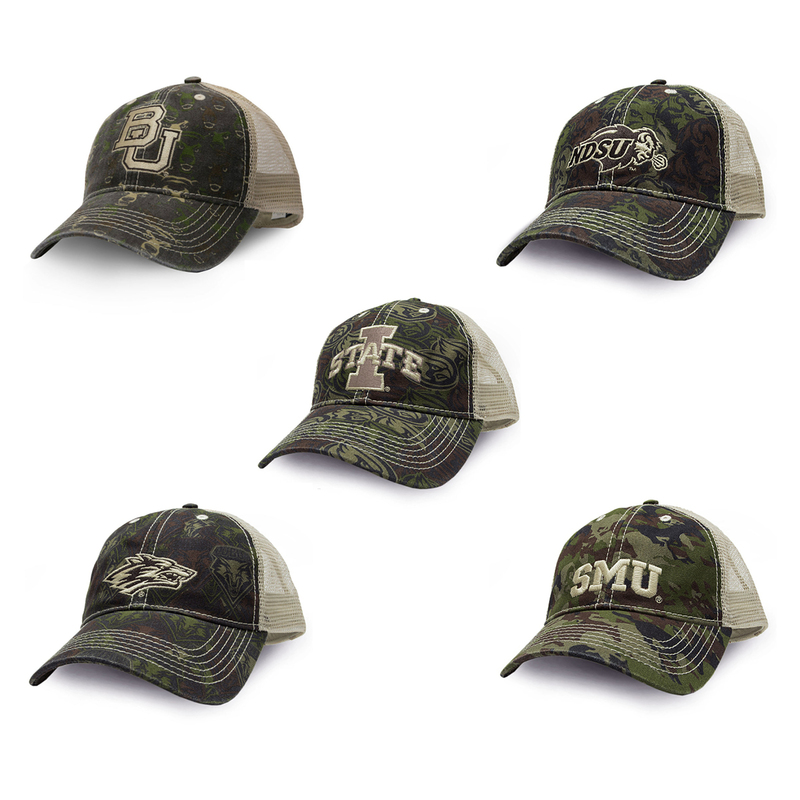 Fanouflage's most popular baseball cap is available for these schools: New Mexico Lobos, SMU Mustangs, NDSU Bison, Iowa State Cyclones, and Baylor Bears. OFFICIALLY LICENSED, UNEXPECTED + UNCOMMON – Fanouflage hats are Game Day gear for Die. Hard. Fans. Backed by our 100% Satisfaction Guarantee. DESIGNED TO BE WORN & WORN… – Logo is embroidered on washed cotton fabric for style and durability. LOOK CLOSER – Our university icon camo prints showcase your team in a new way. ADJUSTABLE FIT – Soft mesh back keeps you cool, adjust snapback closure for your perfect size. FANOUFLAUGE WAS CREATED BY A DIE HARD FAN looking to share the LOVE, PASSION and SUPPORT for his school.